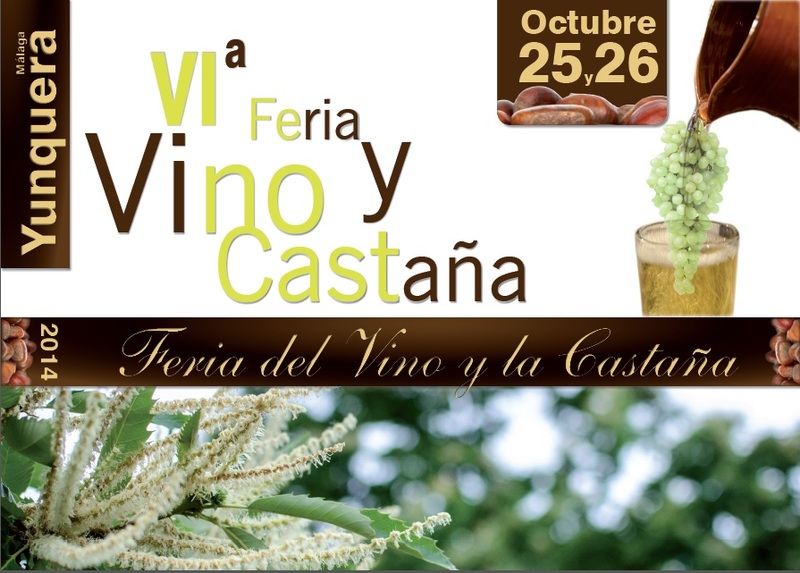 Between the 25th and 26th of October, the Wine Chestnut Fair Yunquera, who in his fifth year, we be offering the best of their local products. It belongs to the privileged environment of the Sierra de las Nieves, Yunquera which extends from Round Rock of the Lovers and the Rio Grande and Jorox up. Its location and its white houses adorned with flowers carefully placed by its neighbours, is charming and makes this one of the most significant people of the Sierra de las Nieves. Due to the abundance of Yunquera water for their crops leads to the quality of its local produce, which is a tribute to this celebration: grapes of the Serrania de Ronda and brown a few weeks ago and started giving the first fruits this fall. With a traditional craft market full of kitchen utensils, agricultural fruits of the area, local oils, cured meats from the mountains, crafts from the Sierra de las Nieves … enlivened by contests, live orchestral music, and verdiales other activities include the traditional crushing of the grapes on the Plaza, which will be set with a traditional flamenco. To delve further into the Andalusian culture can taste this extraordinary corner as traditional Malaga: tostones chestnut or malcocinao (typical dish made ​​with chickpeas Yunquera). The festival also offers alternative landscape activities by the surroundings of the town with departures from the Constitution Square, mainly chestnut forests and vineyards that they name this Wine Fair 2014 Chestnut departure place for rest tourist routes will be available at the information booth located in the Plaza del Poyo. Sing, dance and guitar. Grapes, wine and grape juice. Chestnuts, crafts and products of our region on 25th and 26th October in the village of Yunquera for the Wine Chestnut Fair Yunquera.